There are over 3 million copiers installed throughout the United State and over 80% of those used copy machines will be replaced every 3-4 years. Where do all of these copiers end up? Impact Technology extends the life cycle of over 2,000 refurbished copiers every month. We buy copiers from dealerships, leasing companies and businesses across the United States and re-purpose them for domestic and foreign use. When we buy used copiers our goal is to provide a successful transaction for both parties. Not only will we offer the best price for your used copiers, but in most cases we will also pay for the related transportation costs. Impact Technology is committed to extending the life cycle of your technology asset– we will either remarket or recycle your copier. Whenever we buy used copiers we consider all facets of the procurement process including data privacy-destruction and the Green Environmental Initiative. Impact Technology will buy copiers from leasing companies, however our most common role is to remarket your off-lease portfolio. Our common goal is to extend the life of your copier assets by facilitating sales transactions that obtain the highest market values. We keep a small percentage of the proceeds and send you the remainder to cover your booked residual. Impact has the privilege to work alongside the very best leasing companies in North America. For over two decades Impact Technology has purchased from, sold to and recycled used copiers for corporate America. If you are the happy owner of a single copier or the IT executive in charge of retiring a huge fleet–thousands of print devices–our organization will work with your business in a pleasant and profitable manner. Including a professional sales staff, project coordinators, an internal logistics team and a myriad of copier technicians, we are eager and ready to work with your business. Everyone wants the best price for their copier, so when we buy used copiers our professional sales staff will make sure to quote you the highest market prices. We will also cover other areas you may not think of, such as buying your copier supplies and helping you recycle undesired models. With an internal logistic team using our own fleet of trucks we are able to transport large fleets of copiers at very affordable rates. While shipping costs to move a single copy machine can range from $400-$600, Impact can transport copiers for as low as $100 per copier. Consider using Impact Technology for copier transportation services! 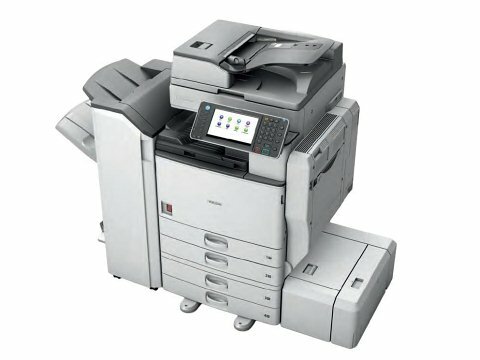 Impact Technology will consider purchasing used copiers from all major manufacturers including: Canon, Ricoh, Konica-Minolta, Kyocera, Sharp and Toshiba, Xerox We also buy used copiers that are considered “wide-format” and are sometimes referred to as engineering copiers, such as: KIP, Oce and Xerox. Gathering some important information will help us give you the highest price for your copy machine. Knowing if the copier works or not is always helpful, but providing the meter and additional accessories will also be very useful. Impact Technology has two locations: Long Prairie, Minnesota and Garland, Texas. We normally have approximately 6,000 used copy machines in stock— many available with low meters. Regardless of where a particular used copier is located, we transfer assets between our locations twice per month for a $75 fee. This gives you the chance to “kick the tires” so to speak, of the copiers you wish to purchase. Once you have made your selection, we can have them delivered very economically to your dealership. If you prefer to pick up your copiers from one of our 8 warehouses, you can do that as well. We have been in business since 2002 and have grown to become one of the largest wholesale distributors of used copiers in the world. Our rating with the National Better Business Bureau has been an A+ for the past decade because we pay attention to detail. Our technicians do an excellent job of auditing our used copy machines so our copier dealers receive exactly what they paid for. All accessories are noted along with cosmetic and internal conditions of our copier inventory. The best part of our business is getting to know you- the copier dealers! Without you we would not exist. So give us a call and let’s do business!